Learn how to administer Nasal Naloxone and receive an overdose prevention kit. Modeled after Project Dawn. 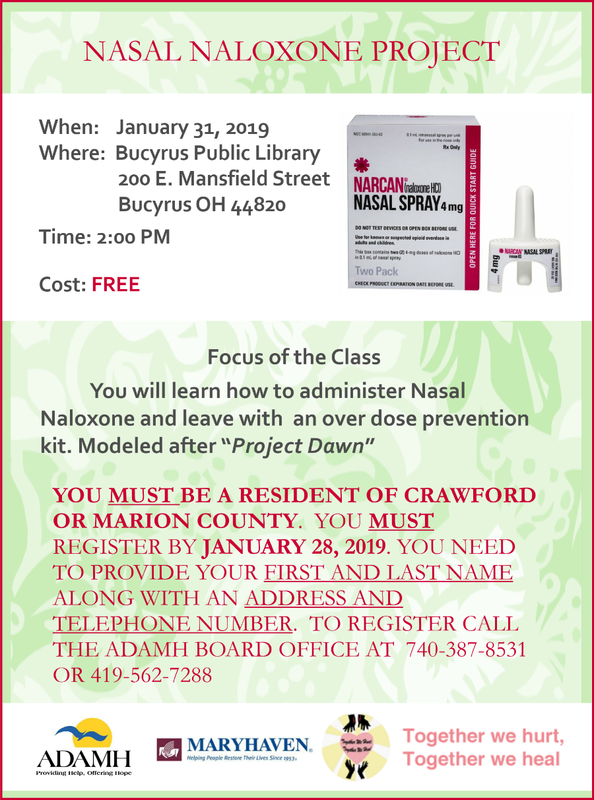 Held on January 31 at the Bucyrus Public Library at 2 pm, this class is free and sponsored by ADAMH, Maryhaven, and Together We Hurt, Together We Heal. You must be a resident of Crawford or Marion County, and you must register by calling 740-387-8531 or 419-562-7288 with your first and last name and an address and telephone number.